This jet cat has a challenge. Click on the screen to activate your jet and pass the obstacles. This game is plain simple. 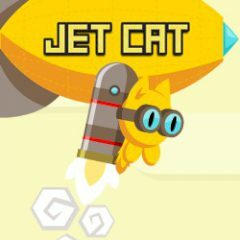 A cat with a huge jet on the back wants to reach the finish. Just activate this device to pass the obstacles and get some points.